The people's champ and all-round favorite: The Jobe Yarra 10.6 SUP board. This board has been our top-seller due to its all-round capabilities. From families to more experienced SUP fanatics, they've all shown some love for the Yarra. 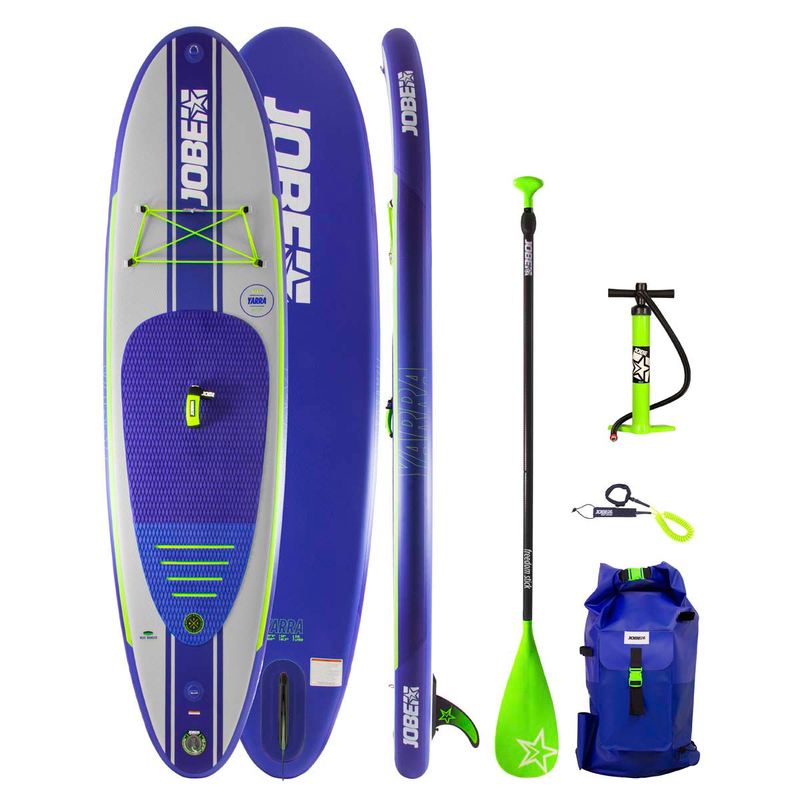 For 2019, the Yarra uses our brand new X-Stitching Construction for a light and stiffer SUP board. And an extra layer on the rail makes this board this board more durable, while the layer in the middle of the board acts as an stringer and gives the board more stiffness. Combine this with all our other features like Heat Bonded Technology, Bungee Storage Net and more. You can see why the Yarra is the favorite in our range and is known to be the swiss army knife of SUP boards.